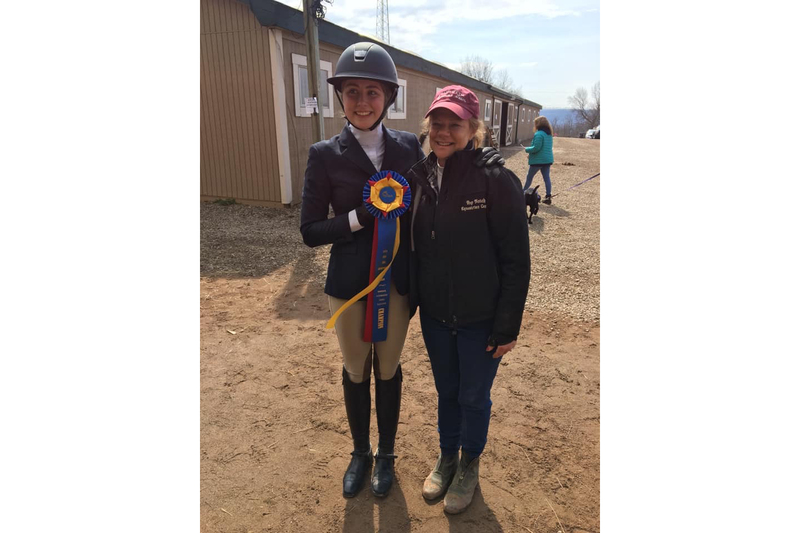 Senior equestrian captain Justine Perrotti competed in zones last Sunday, where she qualified for Intercollegiate Horse Show Association (IHSA) nationals. The day before, the team earned third out of five teams at Battle in the Saddle (BITS). Perrotti’s win in her fences class qualifies her to compete with the best in the country at the nationals. The team’s performance at BITS included many riders performing well in their final team show. The team qualified for BITS by finishing in second place in their region, and therefore earned the chance to face other second-place teams. After BITS on Saturday, Perrotti got her chance in zones, riding to eighth in a pool of 10. Perrotti said she wasn’t sure how she did because she was too nervous to watch the other riders. Lee was the announcer for the day. She received the scores from the judge, but was not allowed to reveal anything until it was time to announce the final standings. Lee announced that Perrotti won her class at zones in front of her teammates, her coach and her mom. Poff said she knew Perrotti did the best course she could. Freshman Margo Mukherjee was one of many Lafayette riders to perform well at Battle in the Saddle, winning the team class. The team finished in third place overall. Perrotti and Poff are preparing to go to Syracuse in May for her first appearance in nationals.